Loving your determination to get through these classics. I have a list that I’m not nearly as well with. 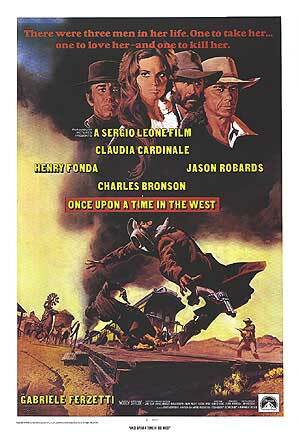 Once Upon a Time in the West is on my list and it’s good to hear how highly you rated it! The best way I’ve heard to describe The Thin Red Line is that it’s a war film from the perspective of God, which to me is bang on. I’m almost caught up on Malick (still haven’t seen The Tree of Life) but this one is easily my favorite. Badlands is also awesome and Days of Heaven is stunningly beautiful. The New World gets a little tiresome (even more philosophical voice over), but the cinematography alone still makes it worth checking out. Hi Kyle, thanks for the comment! 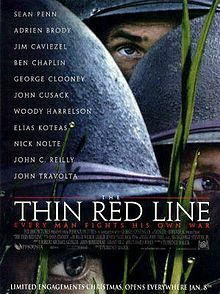 That is an interesting description of The Thin Red Line. I am looking forward in seeing more from Malick, and I will probably rent The Tree of Life within the next couple weeks. Badlands also looks intriguing, and that will likely be my next selection after that. The Thin Red Line is one of the most beautiful films I have ever seen and one of Malick’s best in my opinion, even though he hasn’t really done all that much to have competition. Good review man. Thanks Dan. Glad you enjoyed it as well.